Find out which credit card will benefit you the most when making your next big purchase. To maximize your rewards and benefits, it's important to ask yourself before every transaction if the credit card you are about to use is the best one for the situation. When dealing with travel expenses, it makes sense to use a travel credit card. When buying groceries, you should use the credit card that provides the most points for supermarket shopping. However, what is the best credit card if you are making a generally big purchase? There are a few ways to tackle this question, so we have provided you with our recommendation from a variety of perspectives. Any of the following credit cards would be a great selection for you when handling big purchases. Therefore, simply choose the one you believe best fits your needs, and that will be the best credit card for you. Discover will match ALL the cash back you’ve earned at the end of your first year, automatically. If you can take full advantage of the Discover it® Cash Back credit card's rewards system, you stand to get a high-cash back rate. Cardholders get 5% cash back on purchases in categories that rotate quarterly, each time you activate. However, you'll only get the 5% rate on purchases up to $1,500 every quarter. After that, the cash-back rate falls to an unlimited 1%. You can check the bonus category calendar at the Discover website. For 2019, the categories include grocery stores (January-March), gas stations, Uber & Lyft (April-June), restaurants (July-September), Amazon.com (October-December). If your large purchase falls under one of the bonus categories and it's less than the $1,500 quarterly limit, it would be smart to apply for the Discover it® Cash Back card and use it for this transaction. This credit card also has no annual fee, so there is no harm in applying. 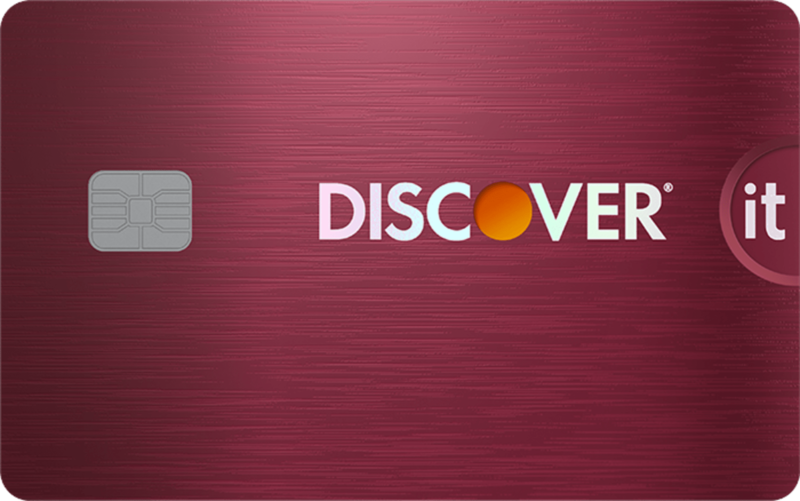 The Discover it® Cash Back card also matches the cash back you've earned at the end of your first account year, effectively doubling any cash back you've earned. If you made a large purchase in one of the bonus categories, that means you'll get up to a whopping 10% cash back on purchases up to $1,500. No other cash-back program can rival this one if you're able to time it well. 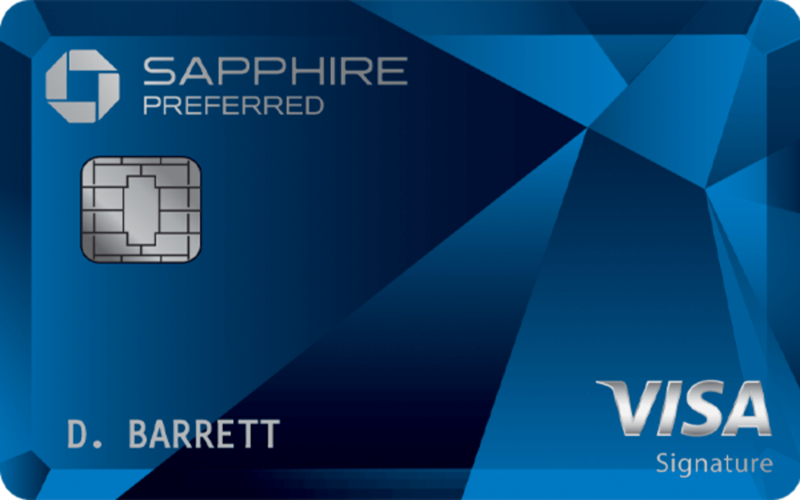 The Chase Sapphire Preferred® Card is an all-around great credit card that is often featured at the top of our best credit card lists. This credit card features one of the best sign-up bonuses available: Cardholders get 60,000 bonus points after spending $4,000 on net purchases within three months of account opening. The Chase Sapphire Preferred® Card is a stellar travel rewards card, offering a 25% rewards boost on points when they're redeemed for travel purchases through the Chase Ultimate Rewards portal. Therefore, the 60,000 bonus points translates to $750 when the points are redeemed through the Chase Ultimate Rewards portal. Furthermore, you will receive 2X points for every dollar spent on travel and dining, which is great if your large purchase is related to either of these categories. If you are making a large purchase, then the Chase Sapphire Preferred® Card would be a great choice due to its high sign-up bonus. The large purchase may take up a solid portion of the $4,000 in net purchases that you need to fulfill, and you would still have the remainder of the three months to gradually spend whatever amount is still required. Although this card's sign-up bonus is difficult for some people to attain, the large purchase can help you get there. The Ink Business Preferred℠ Credit Card is similar to the Chase Sapphire Preferred® Card in many ways, but it's for small businesses and offers a larger sign-up bonus. Cardholders can earn 80,000 bonus points after spending $5,000 in net purchases within the first three months of account opening. If you redeem those points for travel purchases through the Chase Ultimate Rewards portal, then the point value increases by 25%. That effectively increases the value of the sign-up bonus to $1,000. If your large purchase will significantly help you toward fulfilling the minimum to access the sign-up bonus, then it would be wise to put the purchase on this credit card. Although the two credit cards are very similar, they do have noteworthy differences to keep in mind when deciding between the two. 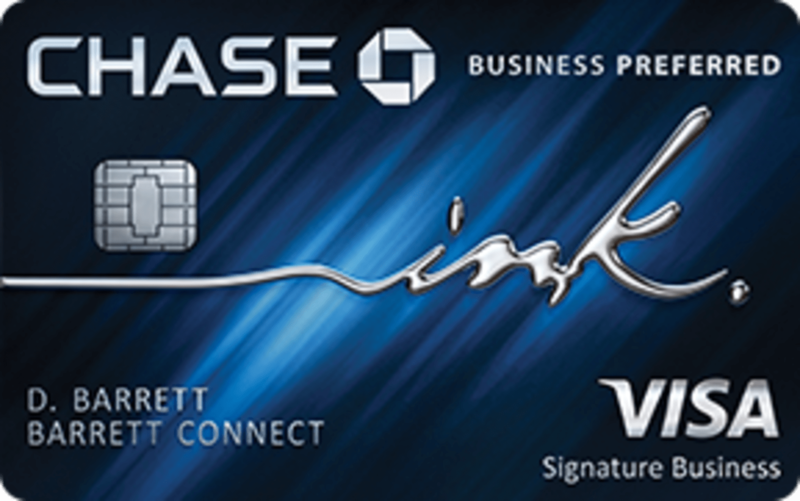 The Ink Business Preferred℠ Credit Card is a business credit card, while the Chase Sapphire Preferred® Card is intended for personal use. The categories for which you earn the most points are also very different between the two credit cards. Consider where most of your spending goes, and pick the credit card that would offer you the most rewards for your specific spending habits. The Ink Business Preferred℠ Credit Card offers 3X points per every dollar spent on the first $150,000 spent in combined purchases on travel, shipping purchases, Internet, cable and phone services, and on advertising purchases done over social media and search engines. Once the $150,000 is exceeded, cardholders will receive an unlimited 1X point per every dollar spent on all purchases. The broadness and strong returns on these various categories make this card an extraordinary choice. This credit card features a solid sign-up bonus of $500 after spending $4,500 in net purchases within three months of opening an account. This is a strong sign-up bonus, even though it pales in comparison to the immense sign-up bonuses offered by its two Chase counterparts. The reason the Capital One® Spark® Cash for Business stands out is because it offers the highest flat cash-back rate of any of the cards listed thus far. This credit card provides cardholders with 2% flat cash back across all purchases. Therefore, you do not need to worry about picking the ideal category for your large purchase, which is a concern with the other cards listed here. If your large purchase is not encompassed by the Discover it® Cash Back's rotating categories or the specialties of either Chase credit card, then the Capital One® Spark® Cash for Business is a great default credit card. Its 2% cash-back rate is highly competitive, and this is a robust all-around credit card without any clear flaws. So What's the Best Credit Card for Large Purchases? The best credit card for big purchases can only be determined by carefully considering your circumstances and needs. Depending on the size and type of your big purchase, some credit cards will be better than others. You need to consider how the price of your big purchase will affect your net purchases for the initial months of opening an account. If your purchase is large enough, then it would be best to apply for either the Ink Business Preferred℠ Credit Card or Chase Sapphire Preferred® Card, since both offer the highest sign-up bonuses. 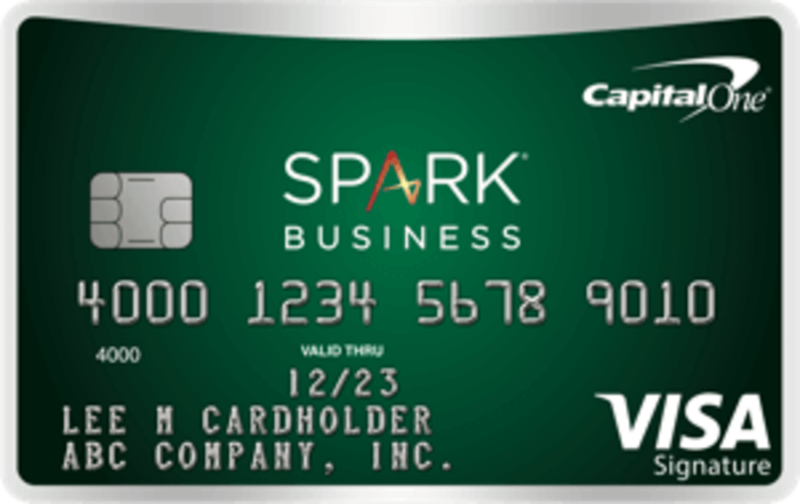 The Ink Business Preferred℠ Credit Card has a sign-up bonus that is even double that of the Capital One® Spark® Cash for Business. If your big purchase falls within a bonus category of the Discover it® Cash Back, then that would be the ideal choice. This point is further emphasized by the fact that the Discover it® Cash Back doubles your cash-back bonus at the end of the first year of opening an account, thus providing up to 10% cash back. If your large purchase does not cleanly fall into the bonus categories for any of the other credit cards, then the Capital One® Spark® Cash for Business is a great all-around option if you are a small business owner. The flat 2% cash back is very valuable. The card also has an appreciable sign-up bonus of $500 that can be easily reached, especially if you make a large purchase soon after opening the account. Ultimately, it is up to you to pick which credit card will best fit your needs. The good news: You have a lot of great options.